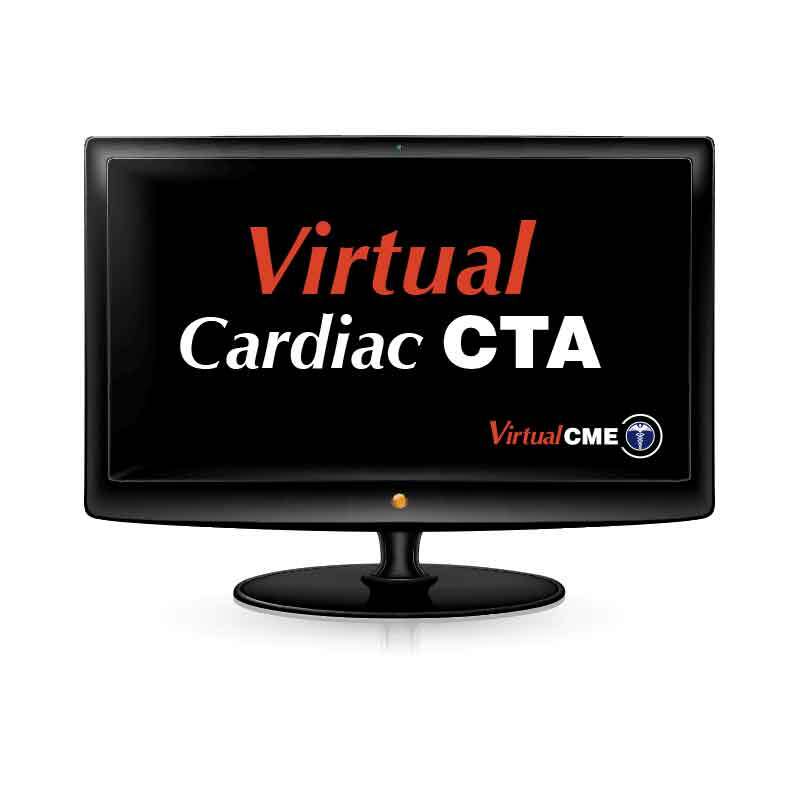 Virtual Cardiac CTA 75 is an online Cardiac CT course that meets the American College of Radiology's guidelines for the performance and interpretation of Cardiac Computed Tomography. This Cardiac CTA course is a combination of lecture and hands on case review. Students will view Coronary CT Angiography Level 2 video lectures from Dr. Carter Newton and Dr. Roger Bies and work with 75 Cardiac CTA cases. Students manipulate and interpret the Cardiac CTA cases using a 3D workstation Cloud by TeraRecon. Findings are compared with video case reviews from Dr. Carter Newton and Dr. Roger Bies. During the video case reviews, students have the choice of watching a full case review, or a brief video summary of the highlighted findings.